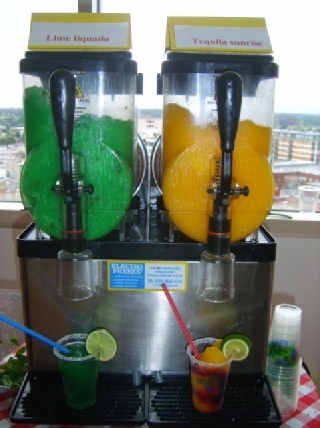 SLUSH MACHINE HIRE - Our range of slushie machine hire can help you cater for any amount of traffic to your trade stand: Offered as a refreshment in a hot and busy exhibition environment, will come as a great joy to many a potential clients, who will then spend some time on your exhibition trade stand. The Machines require very little maintenance once they have been filled up in the morning, just a top-up every now and again when needed. 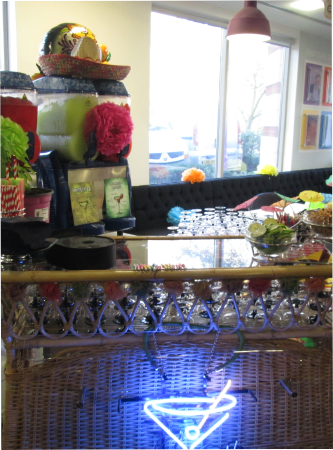 Ideal for frozen drinks, cocktails and mocktails and your promotion concoction! as there is a variety of colours available you can choose different flavours / colours to help promote corporate identity on your trade stand . Please note the time to make a cup of slush, as most people think it is continuous! 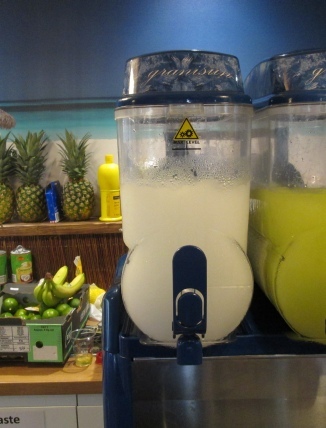 Twin 5 litre: (10 litres in total) produces on average a 7oz cup of slush every 1¼ minutes at best. Power requirements: 1.5kw (initial draw) then 560 watts. Dimensions: 43 x 40 x 63cm. Promotional area: Front underneath hoppers 18 x 37cm. Left side 13 x 25cm. Best on the trolley the trolley frame: front and back is 50 x 69cm. and the sides are 60 x 69cm. 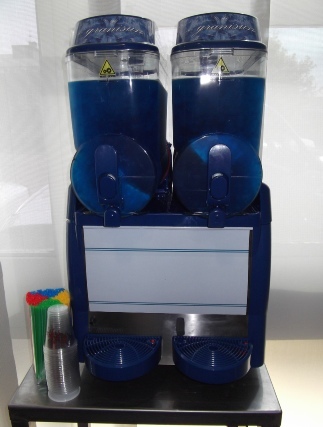 Twin 12 litre: (24 litres in total) produces on average a 7oz cup of slush every 30 seconds or less. Power requirements: 1.5kw (initial draw) then 900 watts. 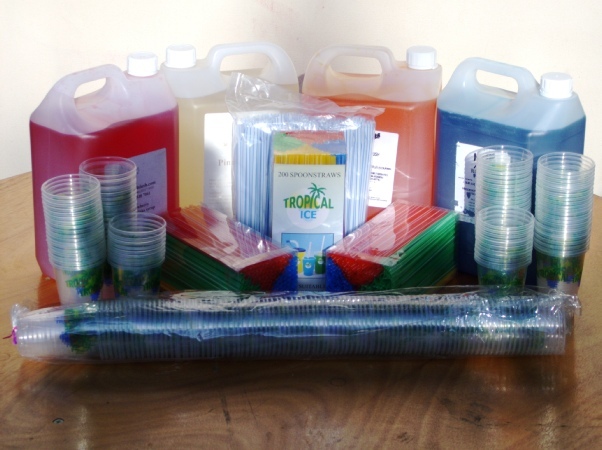 which include a good selection of flavoured syrups, cups, spoon/straws and novelty straws. Alexandra Palace, Business Design Centre, institute of Directors, Bournemouth International Centre, Donington Exhibition Centre, Donington Park, Earls Court, Epsom Downs Racecourse, ExCeL, G-Mex Centre, Hilton Brighton Metropole Hotel, The O2 Arena, The Roof Gardens, Manchester Central Convention Complex, Novotel London West, National Exhibition Centre, Old Billingsgate, Olympia, Queen Elizabeth II Conference Centre, Ricoh Arena, The Royal Armouries Museum, Sandown Park Exhibition and Conference Centre, Stoneleigh Park, Telford International Centre, The Brighton Centre, Cardiff International Arena.